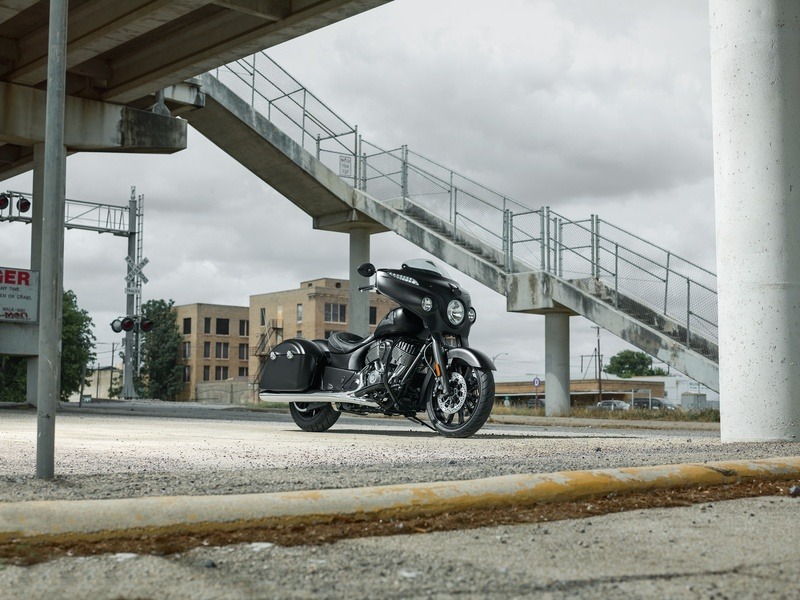 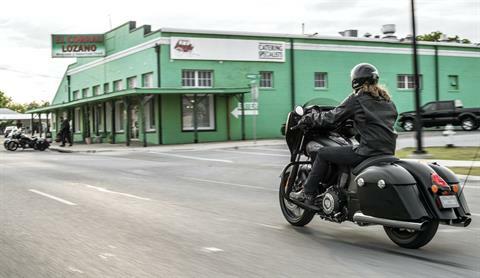 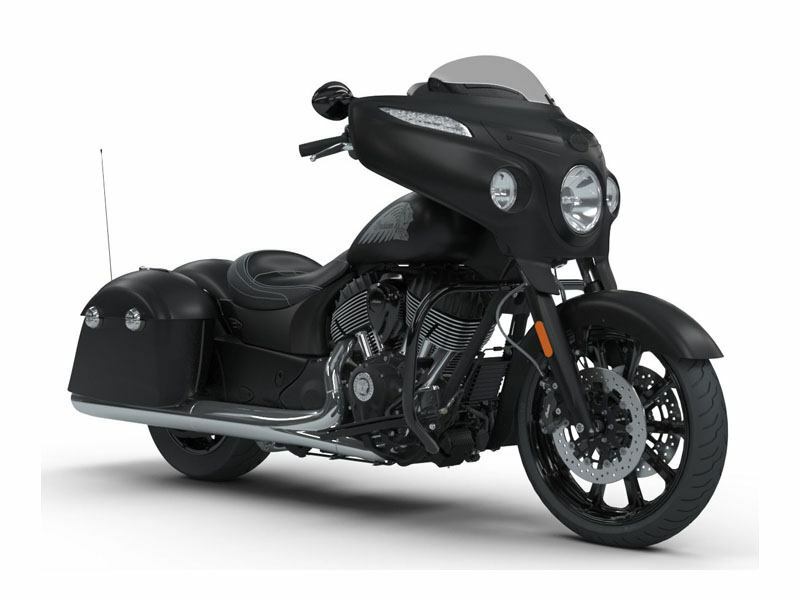 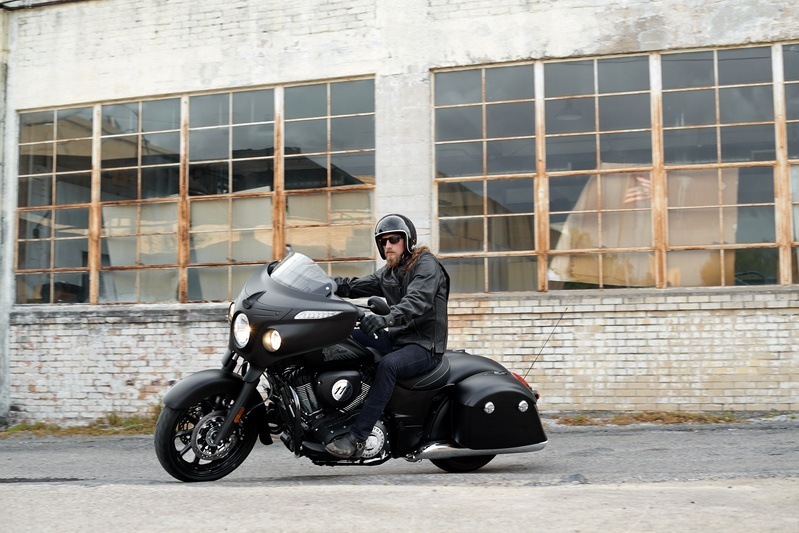 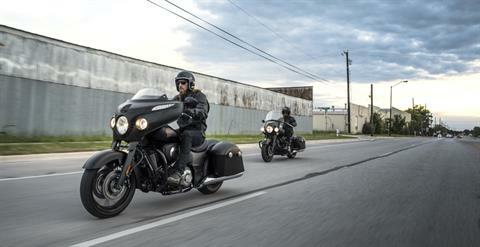 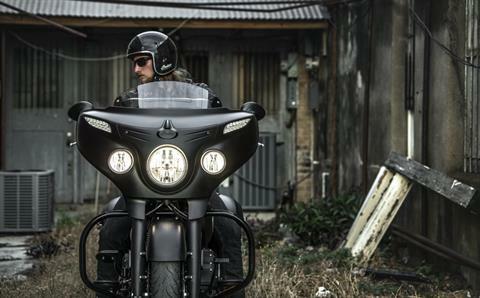 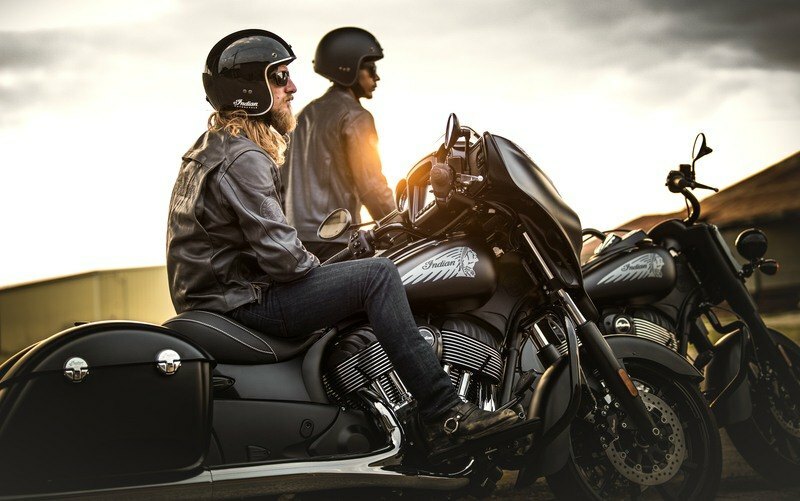 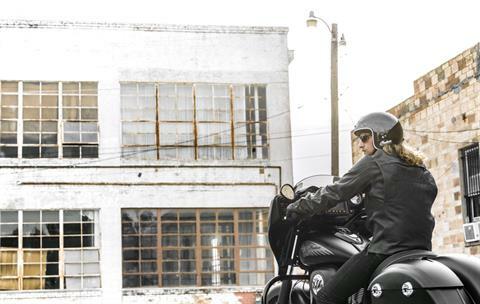 Dripping with matte-black finishes from nose to tail, the Chieftain® Dark Horse® is a bagger with a dark side. 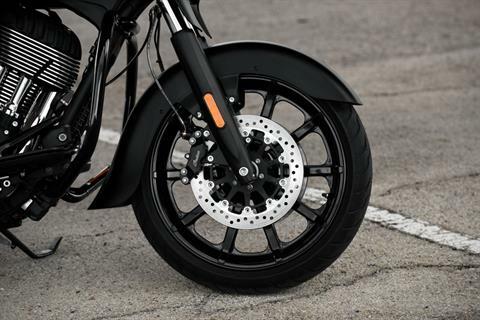 Now equipped with an open front fender and 19" ten-spoke blacked-out wheel. 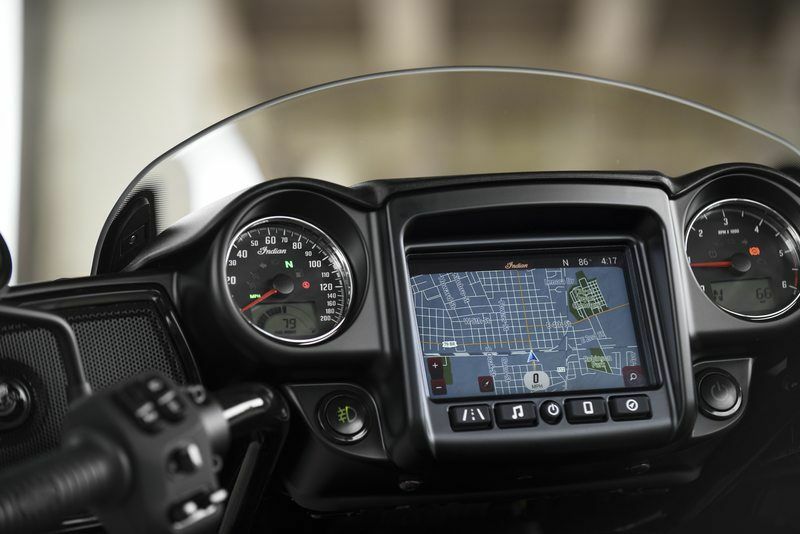 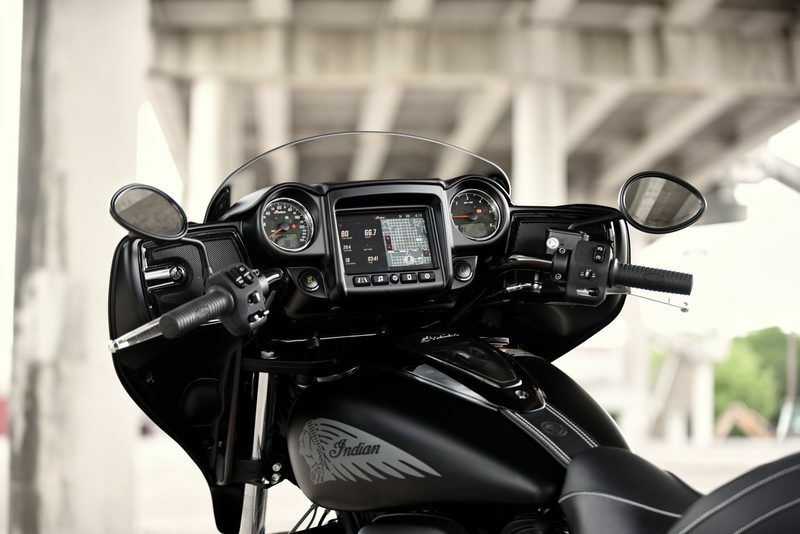 And Ride Command®, the industry-leading, seven-inch touchscreen display with integrated 100-watt premium audio system. 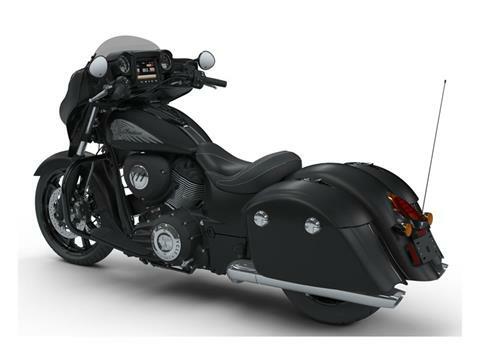 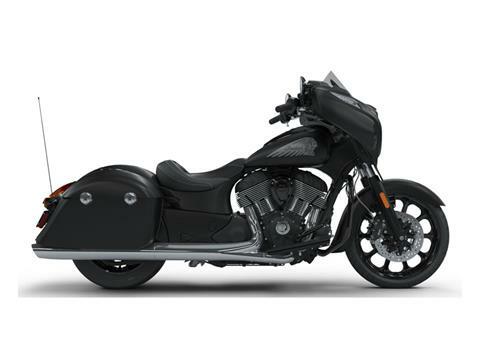 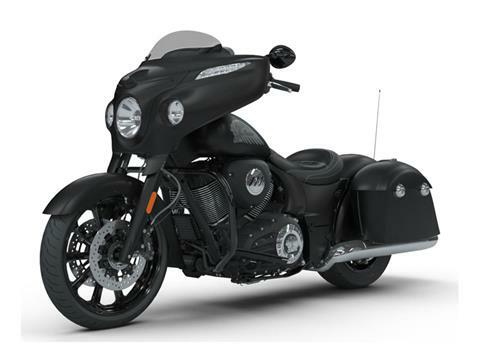 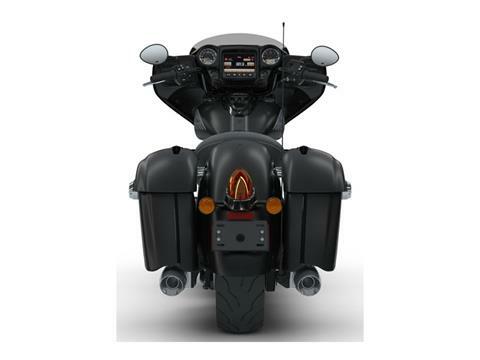 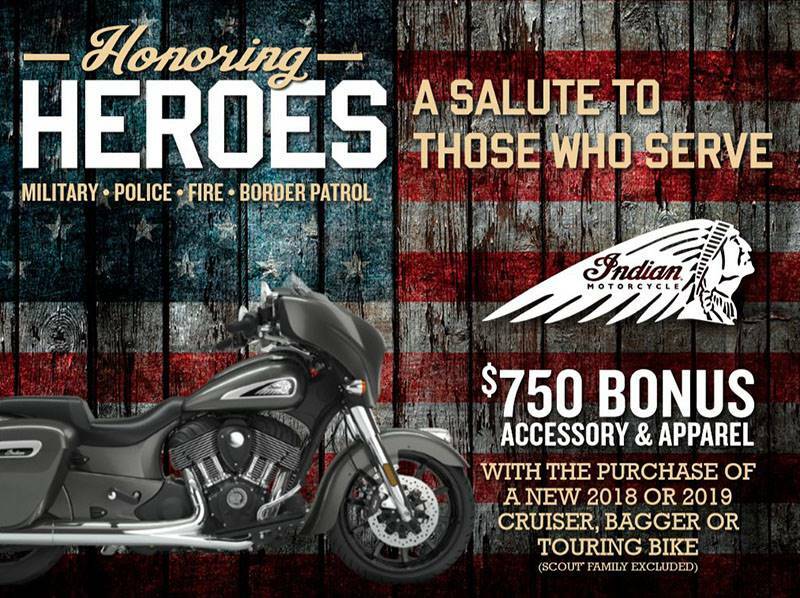 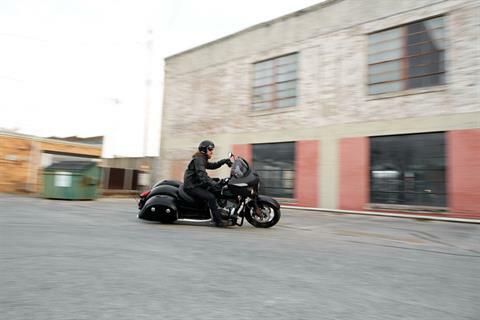 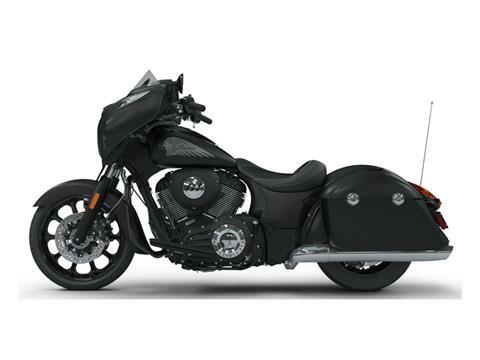 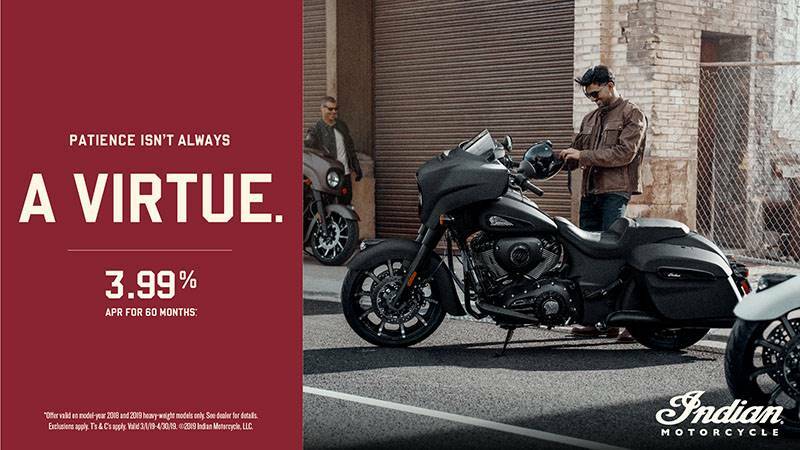 Powered by the Thunder Stroke® 111 V-Twin engine and armed with imposing front highway bars. Everything you need to grip the throttle and lead the pack. REMOTE LOCKING HARD SADDLEBAGS: Protect your cargo in spacious, convenient hard saddlebags with weatherproof seals. SMOOTH OPERATION: The Chieftain Dark Horse is equipped with a 6-speed transmission for rapid acceleration and smooth highway cruising. 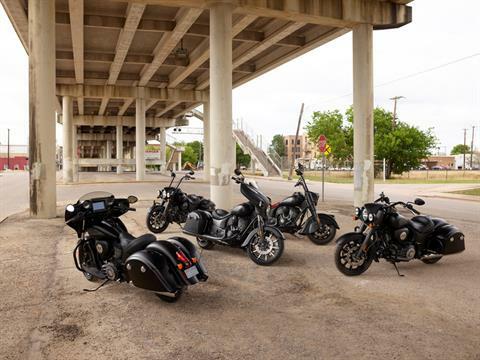 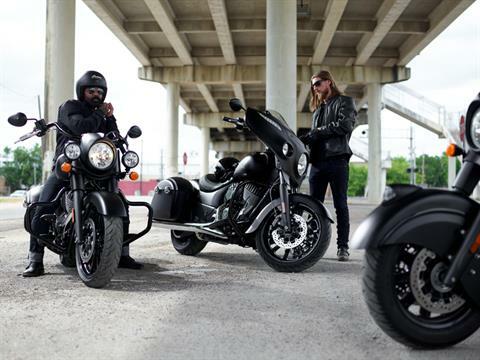 BLACKED-OUT STYLING: Dripping with matte-black finishes from nose to tail, including a black headlight bezel, this is a bagger with a dark side. 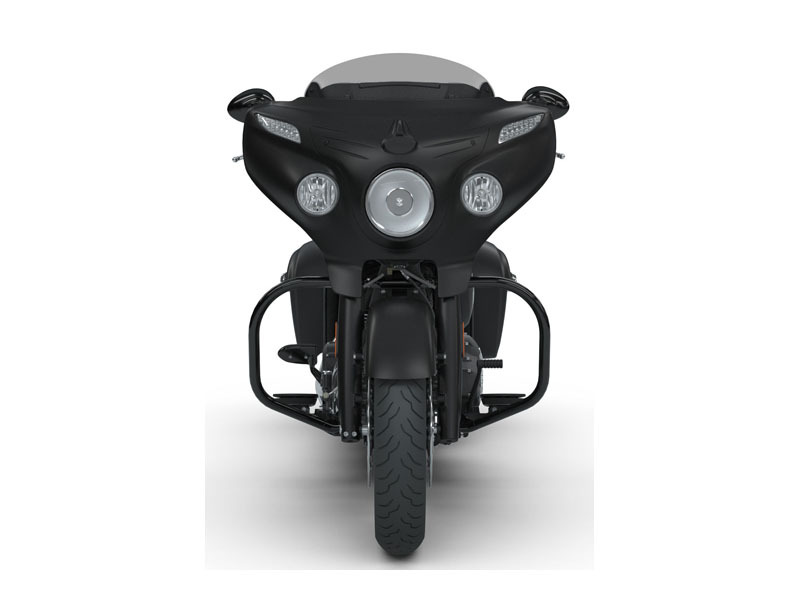 OPEN-FRONT FENDER: Open, flared front fender for a custom look and a nod to Indian motorcycles of the ‘20s and ‘30s. 19 IN. BLACKED-OUT WHEEL: The open front fender exposes a 19” blacked-out wheel and dual front brakes, giving the bike a custom-inspired look.